College Of The Albemarle and East Carolina University have formed a partnership that will allow COA students the benefits of taking classes locally while having access to many ECU services and an easier transfer path to Greenville. According to a COA news release, the agreement that begins this fall is structured to improve transfer student access and success through a degree completion program. The school said students will benefit from this agreement with a cost effective pathway, as it provides a seamless transfer process to a four year university. Additional benefits will include access to ECU libraries, programming through the ECU Office of Student Activities and other organizations, and eligibility to use the ECU One Card. Students will also have access to joint financial aid counseling, micro-scholarship opportunities, joint academic advising and a waiver of the ECU transfer application fee. 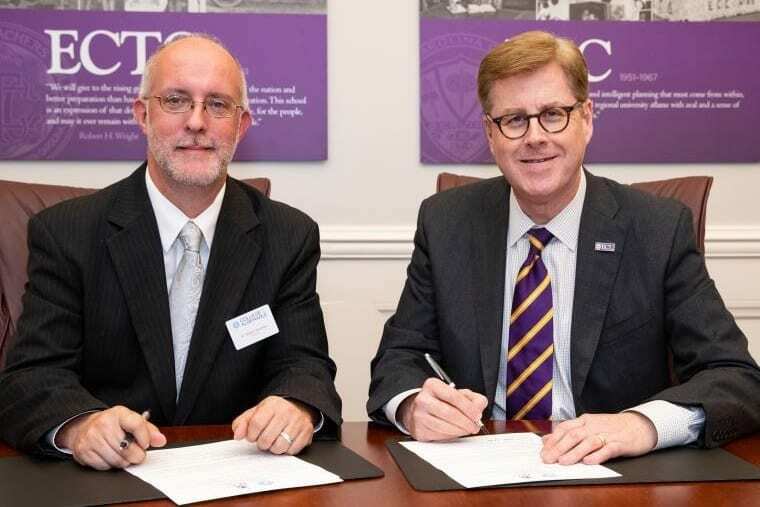 “This is precisely the sort of collaboration we need to better serve the people of North Carolina and the east in particular,” East Carolina University’s Chancellor Cecil Staton said. COA President Robert Wynegar added that they are excited to have support from a four-year institution that ultimately encourages students to complete their degrees at a community college, then have a relatively seamless transfer to ECU.